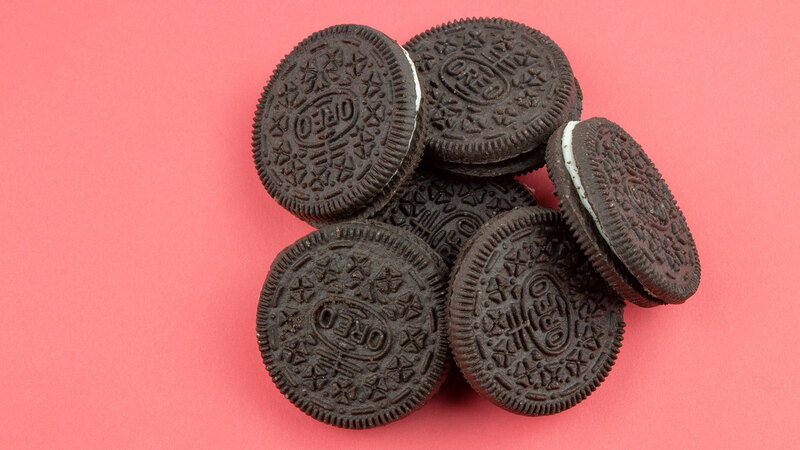 If the rumors are true, folks, we’ve just been hit with yet another new Oreo flavor: Marshmallow Moon Oreos (as if we really needed another following the release of Most Stuf, Game of Thrones, Easter egg-shaped Oreos and the truly bizarre buttered popcorn-flavored Oreos). Why Marshmallow Moon, you ask? To celebrate the 50th anniversary of the moon landing, of course. According to CandyHunting on Instagram, the Marshmallow Moon Oreos will reportedly have a marshmallow-flavored, light purple-hued cream filling; the cookie itself will do away with the traditional Nabisco stamp and will be imprinted with a moon and three stars. The packaging will also, reportedly, glow in the dark. Epic. However, a different foodie Instagram account, @markie_devo, claims that the packaging won’t actually glow, and the cookie’s chocolate wafer will, instead, have a rocket ship stamped onto the cookie. Either way, we’re on board with this new, out-of-this-world Oreo flavor. The launch date of these limited-edition Oreos hasn’t been announced yet, but hey, we do know that the exact date of the very first human landing on the Moon was July 20 — so we can expect these Marshmallow Moon Oreos to be released sometime close to that date.